From Waxing Moon Designs, this adorable puppy dog patiently waits for you to enter. 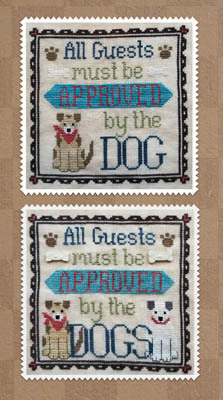 Two designs are included - this design is so dog-gone cute! Stitch count is 92W x 92H.